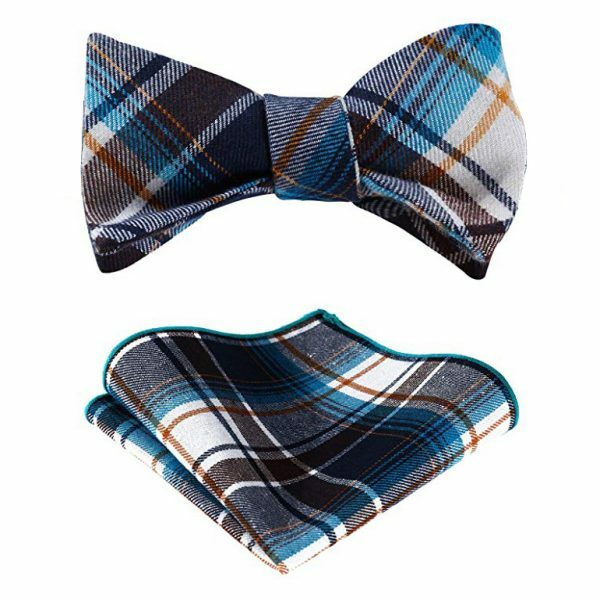 This gentleman’s brown and blue plaid bow tie adds sophistication and flair to your wardrobe. 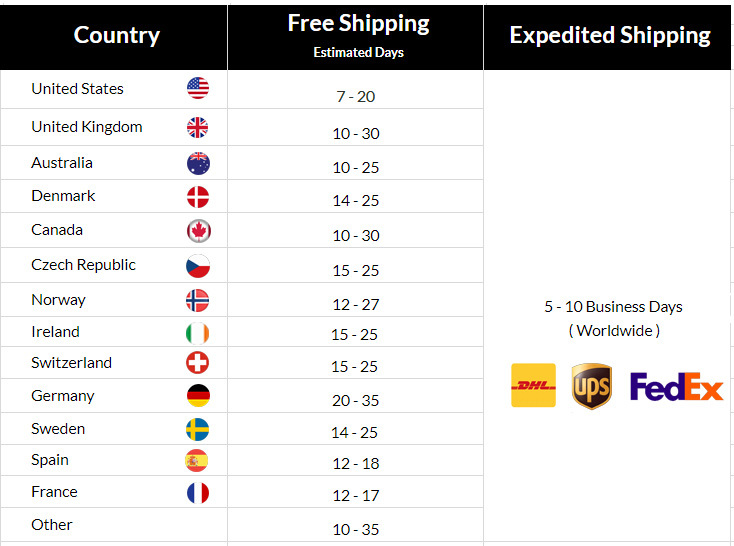 It is a great choice for business or casual looks and makes quite the impression. 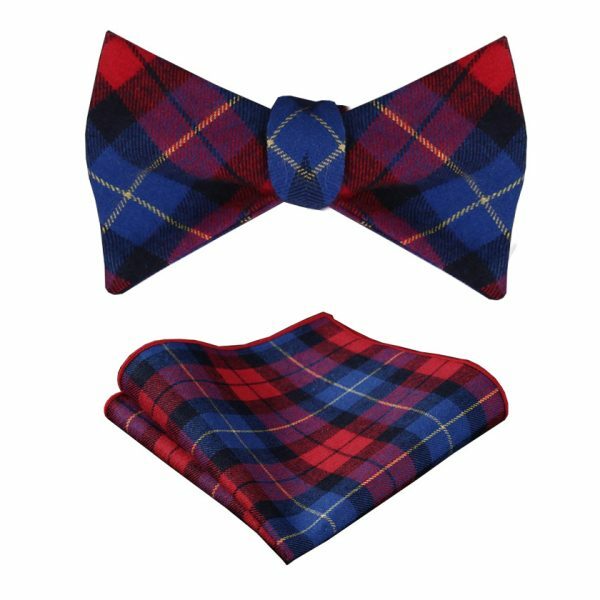 Expertly handcrafted with high-quality cotton material, this beautiful bow tie comes with a matching pocket square. 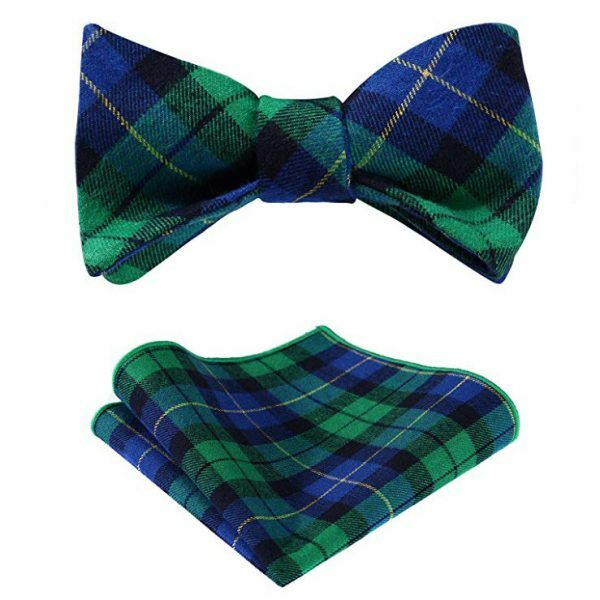 This plaid bow tie set is a smart choice to stretch your wardrobe budget. 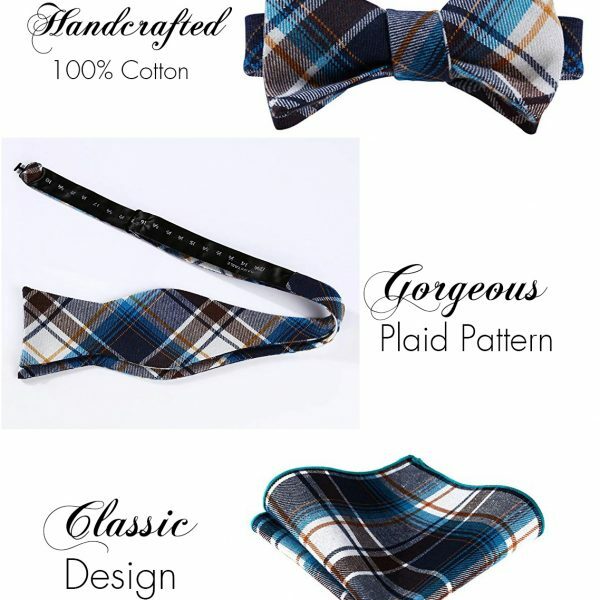 The masculine plaid pattern comes in colors from bright and bold to subtle and muted as well as resists fading. 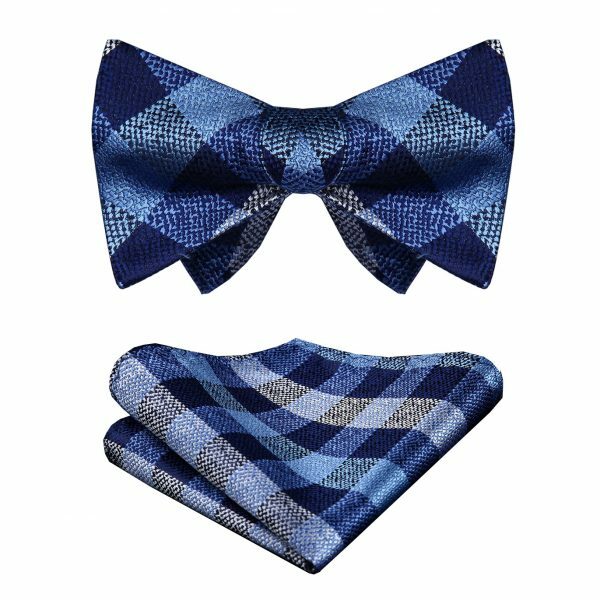 Add some style and class to your wardrobe with this beautiful brown and blue self-bow tie and pocket square. This is the perfect addition to any gentleman’s accessory collection and makes a great gift for the holidays, birthdays and Father’s Day. 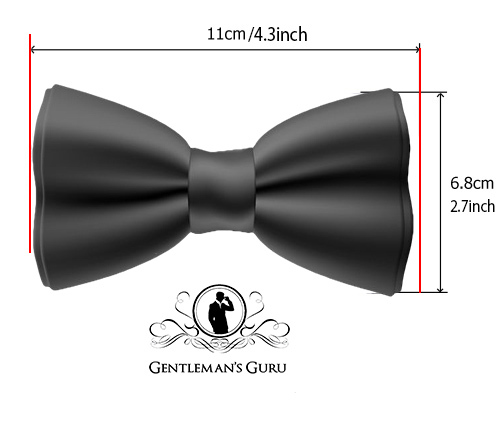 Taking your look from basic man to that of a gentleman is easy and affordable. 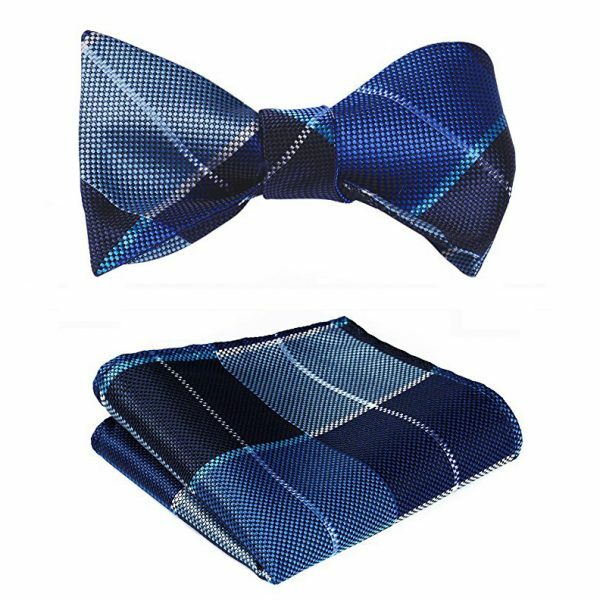 Change up your game and try something new with a classic brown and blue plaid bow tie without emptying your wallet.